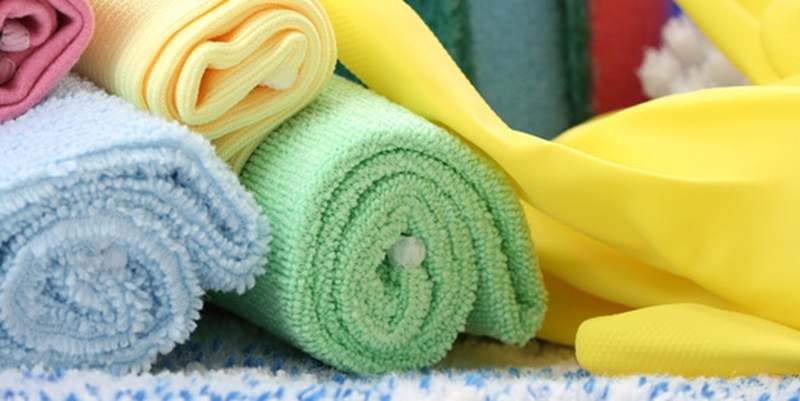 Got laundry, kitchen or bathroom woes? Stains that won’t budge or problem pests? Kidspot’s list of best-ever everyday household tips will not only keep your home in tip-top shape, but it may just save your sanity too! Restore the shimmer to your brushed stainless steel appliances by rubbing on some baby oil with a square of folded paper towel. Smudges, food and fingerprints will disappear in an instant. Note: this method works for brushed stainless steel only. Get rid of that ‘old food’ smell from your chopping boards by rubbing half a cut lemon over the surface. Allow the chopping board to stand for 20-30 minutes and then rinse under cool running water for a citrus-fresh perfume. Store your fruit by lining your fridge drawers with bubble wrap; this will stop your fresh produce from bruising and at the end of the week there will be no wasted food. For the veggie drawer, crumbled newspapers will keep veggies crisp. A stinky drain can make your whole kitchen smell like a garbage dump! To neutralise the odour, first make a watery baking soda paste to put down the drain – the baking soda will break down any food scraps that are hanging onto your pipes. Leave it there for about an hour and then mix a jug of hot water with 3-4 teaspoons of vanilla essence. Throw that down the sink and you’ll have a sweet-smelling kitchen just like that! Use vinegar to wipe the inside of the refrigerator to help prevent mildew (acid kills mildew fungus). To keep your fridge smelling fresh, keep a box of baking soda, a can filled with charcoal or dried coffee grounds or a cotton ball soaked in vanilla extract inside of it. Teach the kids about the dangers of medicines by drawing a big red cross on all pills and potions that can be dangerous in the wrong (little) hands. That way the kids will be able get to the bandaids with ease, and steer clear of bottles and boxes marked with a big red ‘X’. Living with a pint-sized artist can be messy! Remove ink from skin by smearing the area with a small amount of margarine and wiping off with a damp cloth. Now you see it, now you don’t! Draw a weekly chore lottery for the whole family every Sunday night. Write down all the weekly chores on separate pieces of paper and place them all in a hat, on one piece write “day off". Then draw the chores out for each person and stick them to the fridge! This way, mum won’t be left with all the boring jobs and one lucky family member will get a day off – who will it be? There’s nothing worse than chewing gum stuck to the back of your pants. For a surprisingly quick and easy remedy, pop the garment into the freezer for a couple of hours. Once the chewing gum has frozen you will be able to pick it off with your fingers or chisel it off with the back of a teaspoon. When dusting your television or venetian blinds, use a soft cloth that has been dampened with fabric softener - this will reduce the static that attracts dust. Soak blood-stained clothing in cold salty water for at least an hour, and then wash as normal in warm water. The clothes will look (and smell) as good as new before you know it! Try using your shampoo to remove ring around the collar. Since the ring is usually caused by oil, dirt and grime that gathers around the neck, shampoo - which is made to remove body oils - should remove it from clothign too. Just apply the shampoo, gently scrub, then stick it in the washing machine. If common garden bugs are destroying your vegetable patch, try a home-made concoction of diced garlic, onion and water. Allow the mixture to stand overnight, then pour into a pistol-grip spray bottle and give your vege garden a good drenching! Kill weeds fast with a jug of boiling water mixed with a few tablespoons of salt. This is a great way to eradicate pesky weeds from between the pavers, without wrecking your back or your fingernails! Discourage weeds and grass growth between pavers of your patio or walkway by heating four litres of water with 450 grams of salt; stir well and pour the mixture between the stones. Getting rid of mould from hard surfaces is easy if you know how. First, clean the area well with a solution of 4 litres of hot water, 1 tablespoon of bicarb and half a cup of vinegar. Once the area is clean, mix a quarter of a teaspoon of clove oil with 1 litre of water. Put the solution into a pistol spray bottle and mist it onto the surface. Within 48 hours the mould spores will have died. Keep ants away from your dog or cat’s food, by placing the bowl in a tray of water. Any ant bold enough to attempt the swim will quickly drown. Hard-to-remove grease stains on your carpet can be shifted by sprinkling cornmeal or baking soda onto the stain, and then brushing lightly through the carpet pile. Leave overnight and vacuum up the next morning. This process may need to be repeated once or twice. Protect your clothes from moths by placing sachets of dried lavender throughout your closet and in your dresser drawers. You can also soak some cotton-wool balls in lavender oil and dot them around your wardrobe. Putting crushed bay leaves under the kitchen sink or at the bottom of doors and windows is a great way to deter cockroaches – apparently they hate the stuff! Alternatively mop the kitchen and bathroom floors with a homemade bay leaf and water solution!